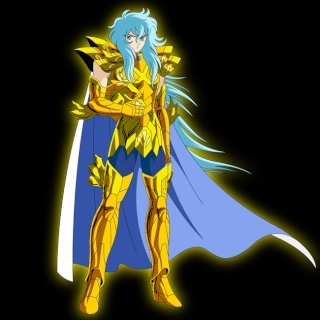 -looks to Aiden and smirks- Golden Cloth of Pisces, protect me! Bah! Golden cloth! Golden Cloth! -swoops towards Aiden- Give me back that win before the Sagitarius Saint find out I stole his wings! -smirks and raises his cosmo energy, blocking the attacks with his hand- Your slow attacks won't take me that easily, Bronze Saint. -notices the Mr.Fluffy and pounces on taking the Win.- Da Maro's!